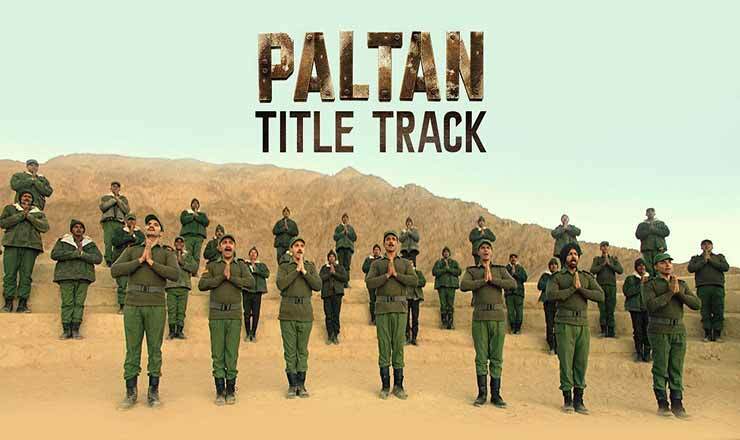 Paltan Title Track lyrics in Hindi from movie Paltan, sung by Divya Kumar, Irrfan, Adarsh & Khuda Baksh. The song is writing by Javed Akhtar and composed by Anu Malik. Star cast Jackie Shroff, Arjun Rampal, Sonu Sood, Gurmeet Choudhary, Harshvardhan Rane, Siddhant Kapoor, Luv Sinha, Esha Gupta, Sonal Chauhan, Deepika Kakar & Monica Gill. तेरे लिए हम लाये हैं तन-मन..
हम भी कहें, तुम भी कहो..
hum bhi kahein, tum bhi kaho..